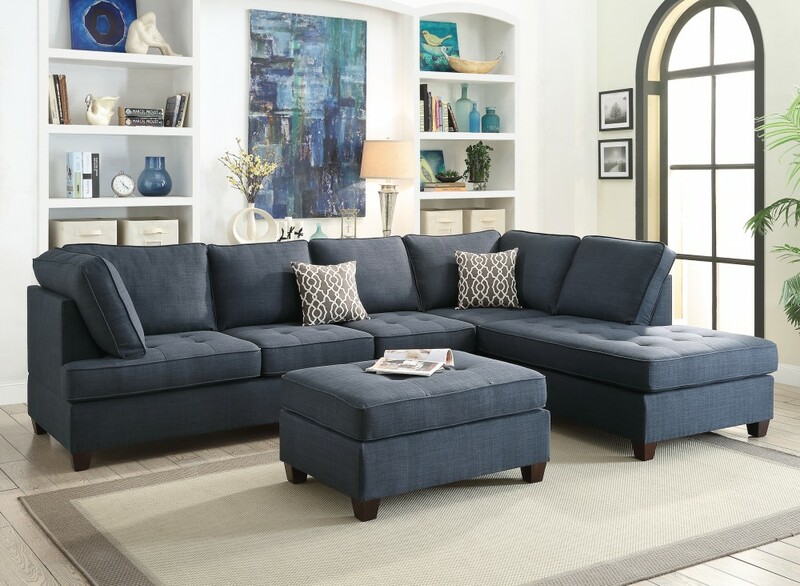 Upholstered in a blend of smooth texture and colors, this 2-piece sectional defines any living space with a well-crafted furnishing for your home. 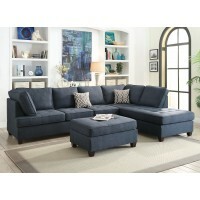 Featuring ample seating space with tufting, a matching cocktail ottoman and accent pillows. Available in dorris fabric (ash black or dark blue). Price is for Sectional only. Ottoman sold separately.